GLADSTONE: The Phoenix and the Asylum. The Phoenix and the Asylum. A Welsh excursion and a trip to the Asylum. With the cancellation of the Journey to Steampunk festival at the Workhouse still sinking in Mr Dale Rowles of BB Blackdog contacted us to help out the Steampunks who had paid money and were set to lose out by playing a free gig instead and we (of course) agreed! A very busy Friday later (Spook moved house that day!) 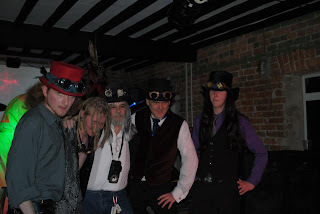 we set out for Wales and the appropriatly named Phoenix Steampunk Festival.......ariving at 1.30am we joined the party, Dale produced his home made wine which tasted wonderful but had the after effect of embalming fluid. 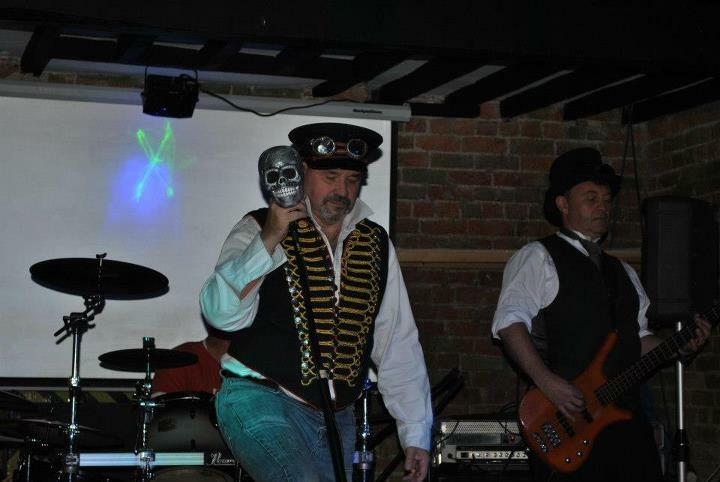 We met some great new mates like the wonderful Montague Jacques Fromage and Poisoned Electrick Head, along with the BB Blackdog boys and are mates Birthrite who came on the Saturday morning. Birthrite went on first, it's the first time we'd seen the new line up and they were awesome. 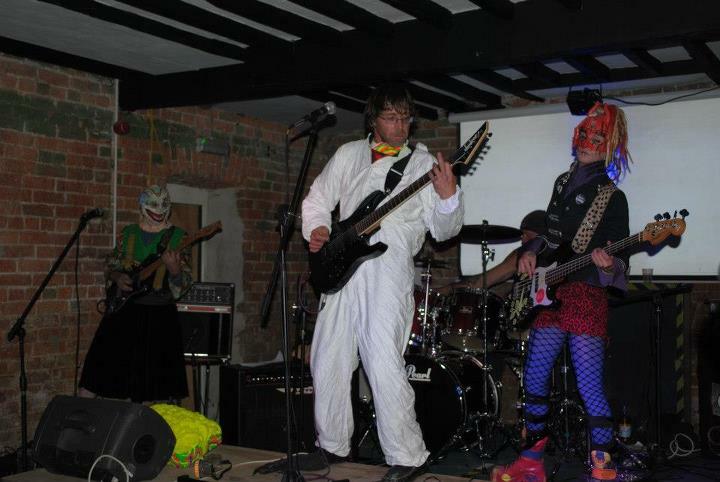 We were on next and the gig went very well even though we had no Amy Teacake, her poor old keyboard having been destroyed be a fluke rain storm the week before! 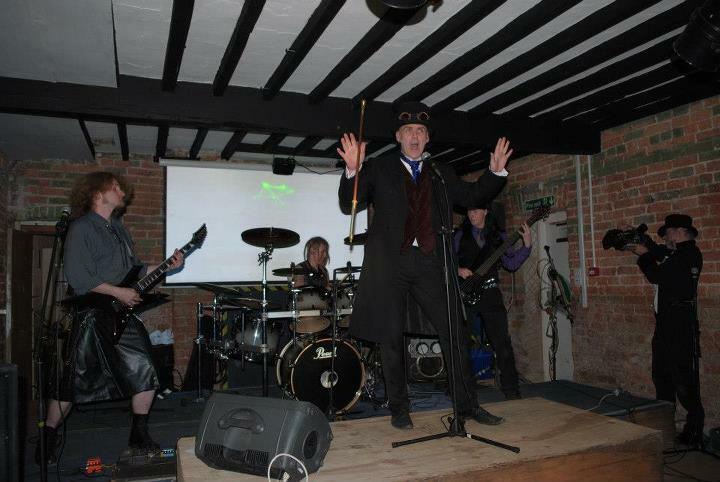 After us the decidedly eccentric Poisoned Electrick Head performed a storming set, the end result was another after gig party with the afore mentioned embalming fluid which resulted in a night with hazy memories!! On Saturday 8th September we left for the very much looked forward to Asylum Festival in the beautiful city of Lincoln, here we met many of our good friends, too many to mention but you all know who you are. It was a hot sunny day in the most splendid company, we joined in the world record attempt for the most Steampunks in one place......did we get it.....I have no idea, but it was great fun!